Editor’s Note: You think you know someone. When Felix had the idea to tell a story about a fictional IWC Portugieser wearer through the visual medium of a comic book strip I was intrigued. He worked with illustrator William Webb to bring a vignette to life entirely of his own imagination – a guy living the dream facing an event most of us would quickly want to wake up from. I was impressed at his hidden talents. It’s short, sharp and purely for fun. Enjoy! If you want a closer look at the art, it’s in three parts here, here and here. 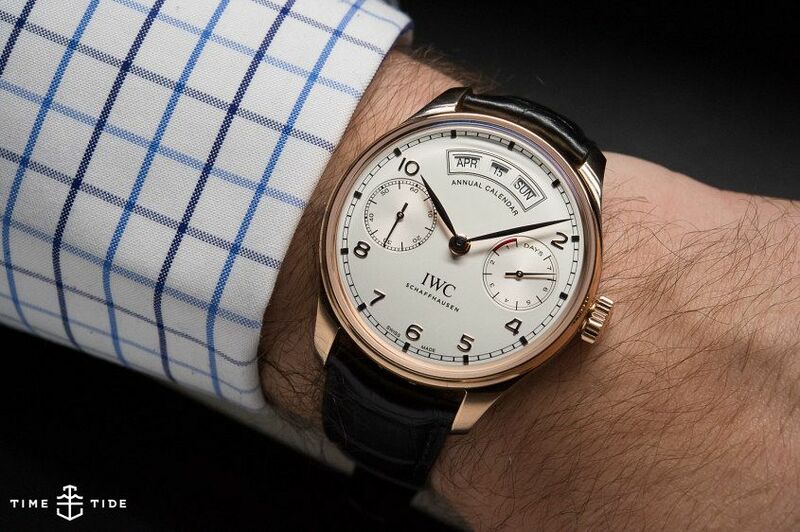 IWC’s Portugieser is the star of the show. Here’s the Annual Calendar, looking a little more lifelike.